Nikonians Academy Director Mike Hagen has been on the road for a good portion of the year, and as 2013 reaches the busy months of November and December, he takes time to share some very uplifting feedback. Nikonians Academy workshops are some of the best in the industry. We work incredibly hard to bring the best professional instructors to cities all around the world in our never-ending quest to teach others how to be better photographers. We strive to run the best classes and would love to have you join us to see for yourself. Photo education is our passion and previous attendees love to talk about how we inspired their passion for photography as well. Here's just some of the feedback we've received from customers over the last few months for workshops ranging from our Master's series to The Passionate Photographer to our portrait workshops to Lightroom. Greg, this class has stuck with me and has been very beneficial to my photography. When it comes to actual photography this class has done more for me then any class I have taken and believe me I have taken a bunch. So much from what I learned at this class has stuck with me and I use every day in my photography. I believe that this class would be extremely valuable to anyone who wants to photograph people. Now a month after the class I appreciate it more then when I was in it. It is simple, it stuck with me and I use what I learned. I just wanted to take an opportunity to thank you once again for your workshop on the D7000. I feel like I know my camera much better now. I especially enjoyed your explanations of not just how to setup the camera but the WHY. I'm following many of your recommended settings including trying to get used to back focusing (I'm also trying to learn to close my left eye and become a right eye shooter). I'm better prepared now to spend more time thinking about the pictures I want to get and less on the camera. Great class, Mike, I learned a lot. You're a great teacher! You can bet I'll be taking more classes. Thanks. Every time I take a class from you I am inspired. I just wanted to thank you for your wonderful class yesterday. I went to the class hoping I would be leaving with some good tips and would be able to remember how to do what I have learned. Not only did you give me fabulous tips, but, having the camera remember the settings for me is far beyond what I could have dreamed for! Your humor is great and your teaching style was perfect for my learning style. 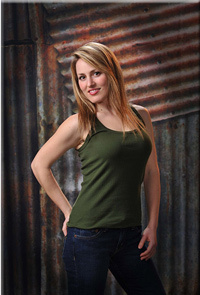 I recently attended the Lightroom 4 Workshop presented by Mike Hagen in Fairfield, New Jersey. The program was absolutely first-rate - well-planned, well-organized, well-presented. I came away with a much better understanding of not only how to navigate through Lightroom which is complex and initially intimidating but with a greater appreciation of its potential - and mine. More than that, however, was the confidence and satisfaction that I was being taught by and was learning from a consummate professional photographer - Mike Hagen. Thanks for the great class!! I learned a lot. Too often at photo workshops the presenter is a great photographer who is a poor presenter and the workshop falls flat. Mike, you are both a great presenter and a great photographer. Please keep up the good work! I don't know when you are traveling home but safe travels! I've attended other Nikonians workshops, all of which were excellent. Your Toronto workshop was superb! My reading your book "The Passionate Photographer" before attending the workshop enhanced the experience. I'm still marveling about your skillful manner in critiquing a photo, first pointing out the positive qualities of the photo, then without any hint of sarcasm or arrogance subtly suggesting ways to improve the photo. After you pointed out ways I could improve my photos I left the workshop energized by your critique, eager to improve and committed to becoming a better photographer. Thank you for such a positive experience." The ANPAT experience was fantastic!!! I know that you put your heart and soul into planning it and then when things changed, your scramble to find other things to do was incredible. This certainly was a great learning experience. Thanks for your teaching, and letting me hang with you. This was a positive changing experience for me and my photography. You're a class guy, Mike! I look forward to your Philadelphia area courses. I need one on lighting and you're the best. I got your book. I just wanted to take a moment to thank you for such a wonderful workshop. You are a gifted instructor. The pace and the detail of the information was perfect and I had a really great time. I just wanted to personally thank you again for all of your efforts yesterday. I learned so much and you made it fun! As someone who has taught in the past (at UCLA medical residency program), I know first hand that is not easily accomplished (especially in an all day workshop!) and is therefore a compliment to your talents and knowledge. Again, my heartfelt thanks. Hope to see you in the future. 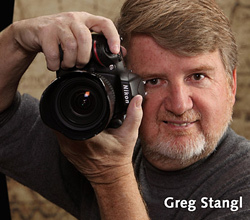 Greg Stangl brings his Secrets of Studio and Environmental Portraiture 3-day interactive workshop to Richmond. VA starting November 4th. This class is a must-have for any photographer considering a career in professional portraiture or anyone that needs to increase their understanding of photographing people. Greg strongly believes in “learning by doing” so come prepared to be an active part of the class. 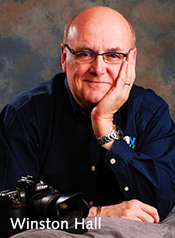 He has a proven track record of helping students become better photographers. His detailed workbook guarantees that the lessons you learn will become a permanent part of your creative arsenal. Steve will be taking the same series to Boston, starting November 14. Steve Simon will be hosting his Masters series in Atlanta, starting December 4, while Winston C. Hall takes the series to Phoenix, starting December 5. Steve's next workshops will head to Philadelphia starting December 10 while Winston Hall's next stop takes him to Las Vegas beginning December 12. Mike Hagen finishes out the year hosting the Masters series in San Diego, starting December 12. There seems to be some confusion about the use of Active D-Lighting. 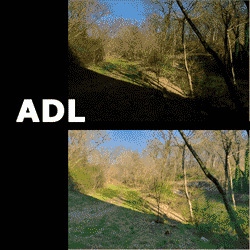 As a reminder, Active D-Lighting (ADL) is a setting in the camera that is used for high contrast scenes. It potentially applies an exposure adjustment to reduce exposure, and applies a complex curve to brighten shadows while protecting highlights. Find out the best setttings, what implications are met in photo editing software, and more! Nikon Europe Knowledge Base has posted a new article on what manufacturer-specific software will be supported under Windows 8.1. Editor's note: Notably, the phrase "We will announce our plans regarding full compatibility once testing is complete" speaks volumes about the current challenges users face in getting their respective programs to work in Microsoft's latest PC OS. Looking ahead to 2014, the Nikonians Academy curriculum includes the most popular workshops mixed with challenging outdoor adventures. Academy Director Mike Hagen takes the lead in January, bringing the Masters series to Orlando, Florida (Jan 9-12). February finds Richard Hulbert in San Francisco (starting Feb 6) and Dallas (starting Feb 20) leading his four-day Urban and Street Photography Workshop. Meanwhile, Jim Stamates brings his Bald Eagles of Klamath Basin Photography Workshop to Oregon starting on February 12th, and Michael A. Mariant leads the Yosemite in Winter: A Season of Contrast photo adventure starting on February 20. Winston Hall leads the Masters series in Tampa, Florida starting November 7th. 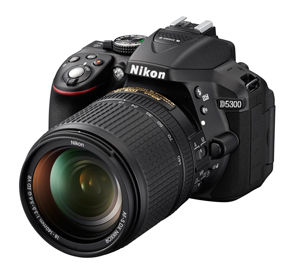 Nikon's DSLR inventory now adds the 24.2 megapixel CMOS sensor D5300 -- Nikon’s first DSLR with built-in Wi-Fi and GPS. The D5300 is being discussed in our Café. Feel free to share your impressions, once you have read the full specs and product page. The announcement also included the new AF-S NIKKOR 58mm f/1.4G – a prime lens with a hefty price tag and roots leading back to the lendary Noct NIKKOR 58mm f/1.2 lens. That "noct" is just what you think it is—it means shooting at night (as in nocturnal). • This is Nikon’s first DSLR with built-in Wi-Fi and GPS which provides instant photo sharing to smartphones or tablets. It also offers the option of geotagging image captures. • Extremely compact and lightweight with an ergonomically designed body. Winston Hall is running two days of workshops in Charleston, SC (October 18-19). 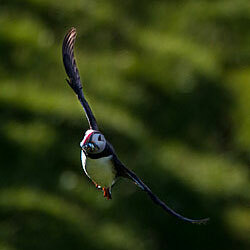 Join him for his Master the Nikon D600, D7000, D7100 In Depth 1 and In Depth 2 workshops. The new Nikon D610 FX-format camera features a continuous quiet mode, allowing you to shoot sequence shots with a minimum of mirror-slap noise. It should be available in late October with a manufacturer's suggested retail price of $1999.95 USD for the body only. Our members are discussing the new camera right now. 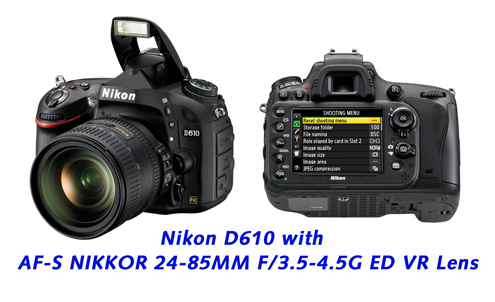 You can get full specs and links to sample images at the USA Nikon D610 Product Page. "With image quality rivaled only by the 36.3 megapixel Nikon D800, the D610 is an attractive option for those willing to step up to FX-format." “For many of us, photography is an unexplainable passion; a relentless pursuit of sharpness and fidelity in every image captured, as we endlessly seek a way to express ourselves,” said Masahiro Horie, Director of Marketing and Planning, Nikon Inc. The new Quiet Continuous Shutter Mode is ideal for weddings and other sensitive events. 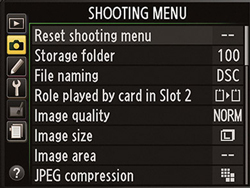 When selected via the main command dial, users can shoot discreetly at up to 3 fps. ANPAT 13 gets underway this Saturday. Our intrepid Nikonians are traveling throughout Northern Arizona in search of incredible photographs and great camaraderie. Nikonians founders Bo Stahlbrandt (bgs) and J. Ramon Palacios (jrp) and Mike Hagen (Mike_Hagen), Nikonians Academy Director will be hosting the Annual Nikonians Photo Adventure Trip and recent developments in Washington D.C. have them concentrating on "Plan B." This week is your last chance to sign up for Les Picker's 4-day Acadia NP Photography Adventure. scheduled for October 10th - 13th. 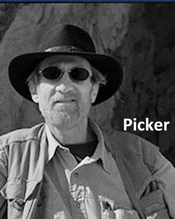 Les lived in Maine for ten years and received his doctorate in ecology from the University of Maine, using Acadia National Park for his research. Few photographers know the intricacies of Acadia as does Les. We have timed this workshop to take advantage of fall foliage with its resplendent colors. 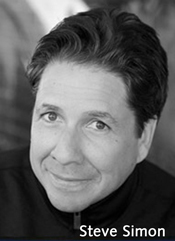 Join Steve Simon in Washington DC for four days of workshops from October 11th - 14th. 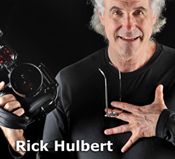 Rick Hulbert's next stop for his Urban and Street Photography Workshop is Seattle, WA from October 24th - 27th. This four-day workshop continues to receive great reviews from participants and is the best way to learn how to combine architecture with street photography. It is designed to improve your photography regardless of whether you consider picture taking a hobby, or you are a serious enthusiast, or a professional photographer, or earn your living as a member of the global real estate, design, and construction industries. 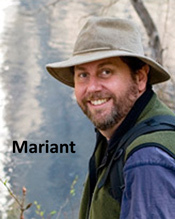 Finishing out the month, Michael A. Mariant hosts the Advanced Photography Course: The Zen Of Thinking in Yosemite, California (starting October 26). This two-day course is an intensive exploration of how the mind responds to a scene and how the eye can find the photographic composition … intuitively. This course is limited to five students to ensure an intimate environment, fostering the best learning opportunities possible. Greg strongly believes in “learning by doing” so come prepared to be an active part of the class. 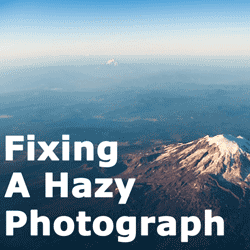 Greg has a proven track record of helping students become better photographers. Greg’s detailed workbook guarantees that the lessons you learn will become a permanent part of your creative arsenal. 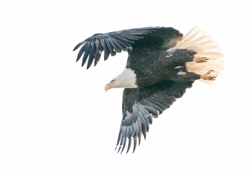 Using a long lens for sideline shooting or birding this fall? Our friends at Think Tank Photo just announced a special offer on their two long lens backpacks, the Glass Taxi and the Glass Limo. 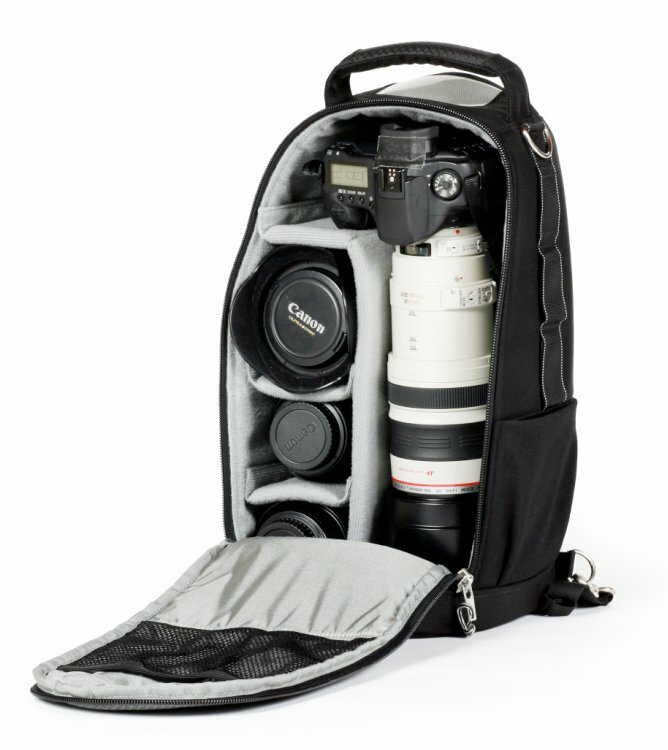 Should you order one of these backpacks between now and September 30th, you can select to RECEIVE FOR FREE from among the following lens cases and pouches: a Slim Changer, Lens Changer 25 V2.0, Lens Changer 50 V2.0, Lens Changer 75 Pop Down V2.0, or a Strobe Stuff. When you place your order, a popup will show the Free Gift options. The Glass Limo carries up to an 800 f/5.6, 600 f/4.0 unattached or a 500 f/4 with Pro body attached, or an 800 5.6 with aftermarket neoprene lens cap , or a 200 - 400 f/4 with Pro body attached, or a standard pro kit with pro DSLR and 5-8 lenses. PS. Pssssst! ThinkTank's raffling off a new Apple 15" MacBook Pro Retina in one of our new My 2nd Brain laptop cases, along with our new Powerhouse power “brick.” Just enter here!